Another drawing by Pavel Rampír, this one shows a Hawker Typhoon after a rather successful forced landing. PR-A served with No. 609 (Belgian) Squadron and was flown by F/O (later Squadron Leader) Charles de Moulin. The Hawker Typhoon started life as an intended successor to the Spitfire, but eventually found its real role as a ground attack aircraft after D-Day. 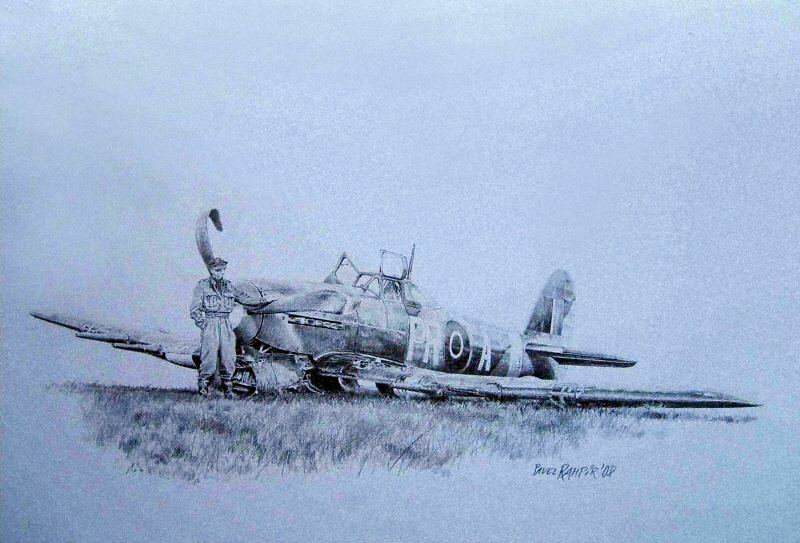 Pavel Rampír is an aviation artist and illustrator of the Czech Revi aviation journal.